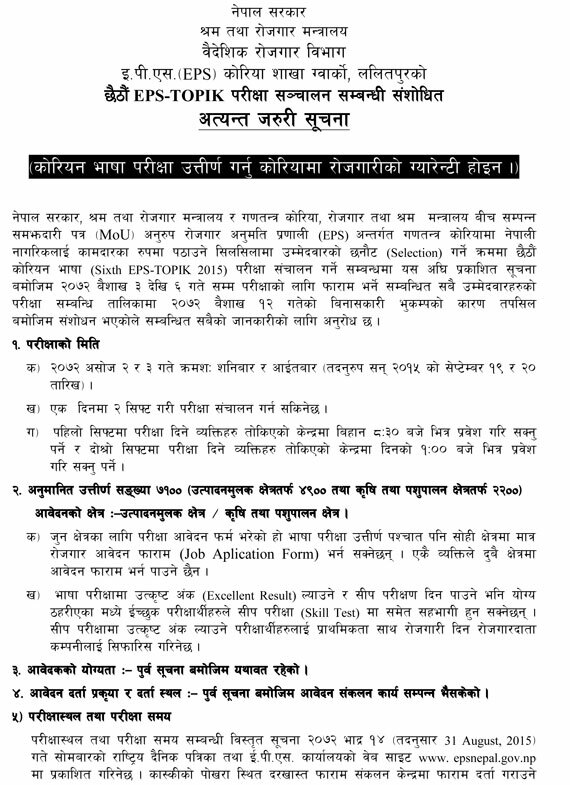 Urgent Notice has been published regarding 6th EPS-TOPIK examination from Nepal government’s Foreign Employment Department, EPS Korea Section. Due to devastating earthquake, 6th EPS-TOPPIK examination will be held on Ashoj 2, 72 (September 19,2015) and Ashoj 3, 2072 (20 September 2015). Examination will he held in two shift. Passing this exam qualifies one to get a job in South Korea under the Employment Permit System (EPS). It is to be noted that passing the EPS TOPIK exams only opens the door for jobs in Korea. It does not guarantee job immediately.Under the EPS system, South Korea has been recruiting workers from 15 countries, including Nepal, Vietnam, the Philippines, Thailand, Indonesia, Sri-Lanka, Pakistan Bangladesh, China and Cambodia. 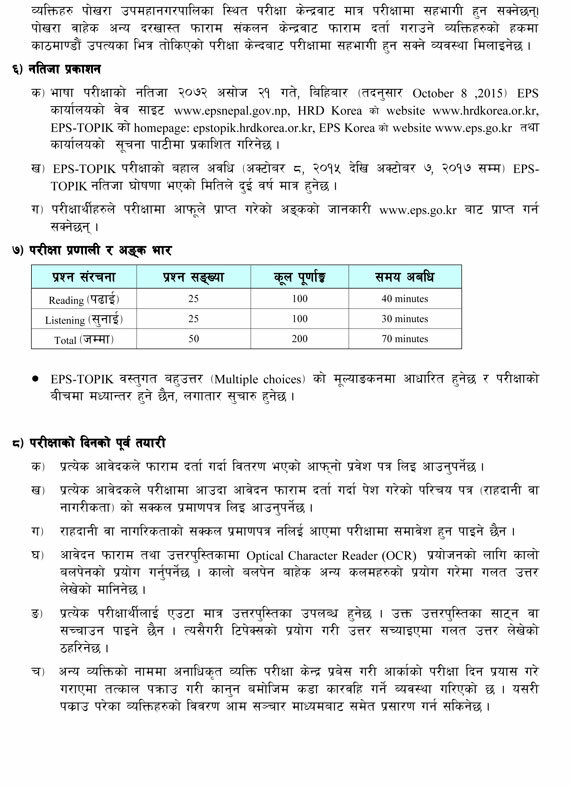 You can also view above 6th EPS-TOPPIK examination notice in pdf format , click [HERE] to download pdf.